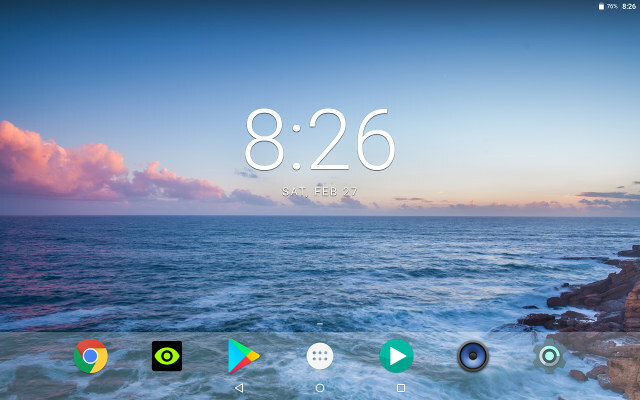 Announced last June, Allwinner A63 is the latest tablet SoC from the company, with a quad core Cortex A53 processor and a Mali-T760MP2 GPU capable of driving 2K displays. 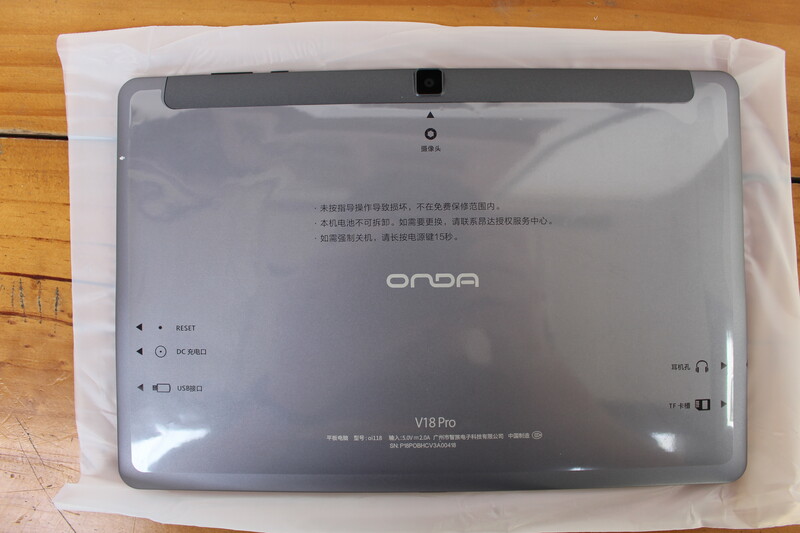 One of the first tablet to feature the SoC is Onda V18 Pro with a 10.1″ 2560×1600 high resolution display, 3GB RAM, 32 or 64GB internal storage, and the capability to play 4K H.265/H.264/VP9 videos (obviously downscale to the display resolution). 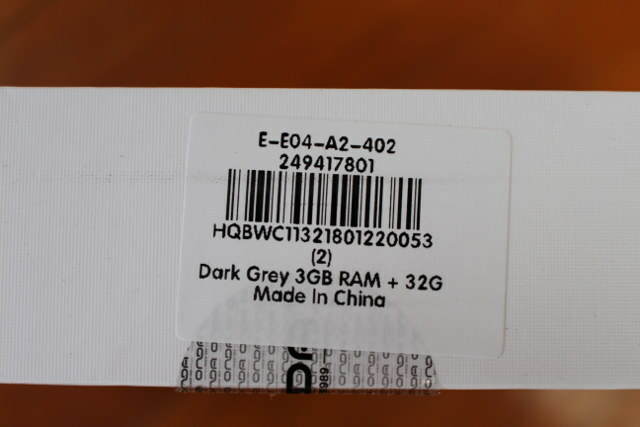 I was interested in checking it out, and GearBest sent me a sample of the 32GB flash version. I’ll do a two part review, starting with unboxing, and first boot where I’ll run CPU-Z and Antutu, before publishing the rest of the review in a few weeks once I got to use it more and performed more tests. I opened the package, got the tablet, and turned it on. It worked as it still had a good amount of charge. 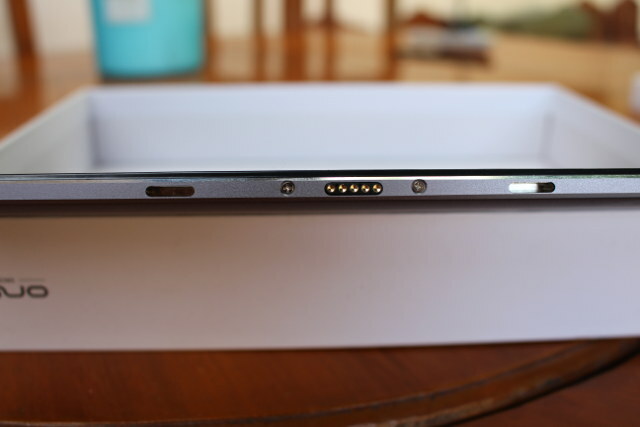 The display does appear to be quite sharp, and we can also notice the (2MP) front camera, and power + volume buttons on the top. 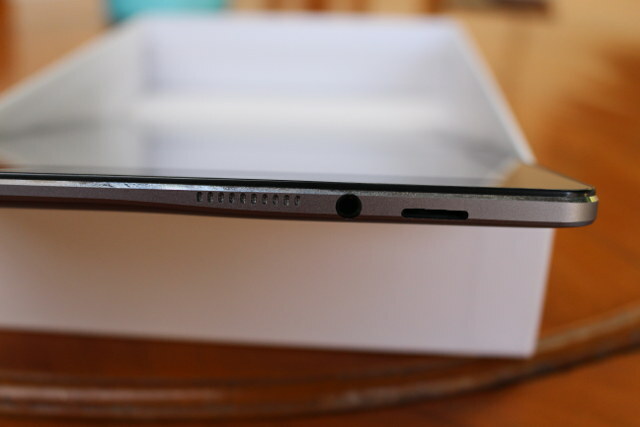 The back of the tablet comes with a 8MP rear camera, and a large transparent sticker showing the location of the ports. An icon also shows the location of the microphone (top left on photo below). The right side includes a micro USB port for external device, a round DC jack, and the reset/recovery pinhole. 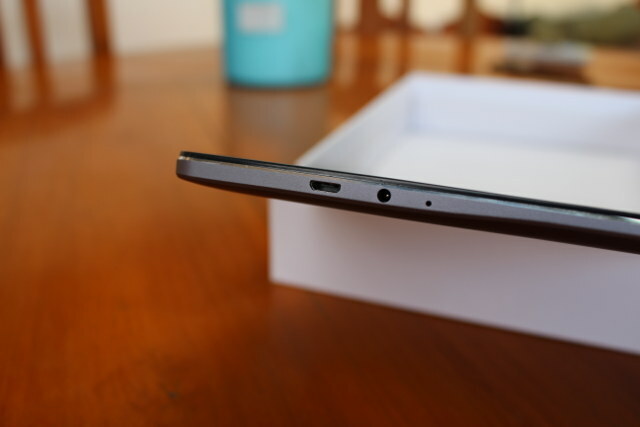 The left side comes with what appears to be the sole speaker, a 3.5mm audio jack, and a micro SD card slot. The bottom is designed to be connected to the magnetic docking keyboard also used for the older Onda V10 Pro tablet. There are also a few other accessories in the box include a 5V/2A power adapter and its USB to DC jack cable, user’s manuals in English and Chine, a certificate of quality, and a “Useful Reminder” card. Normally, I’d open up the device at this stage, but the back cover does not seem to easy to open, so I gave up, lacking confidence…. But since I could start it immediately, I decided to do some quick tests first. First I took a screenshot of the launcher to indeed confirm the 2560×1600 resolution of the display. 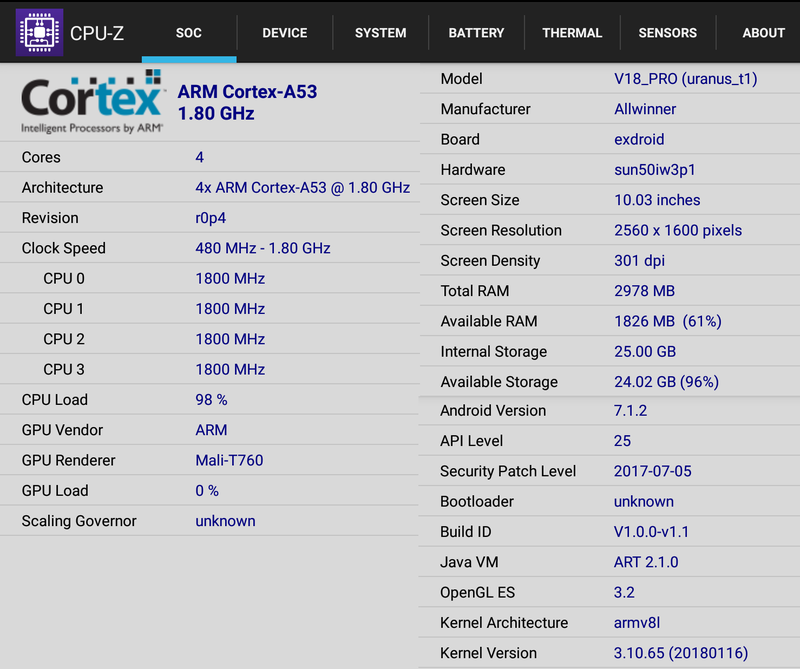 Then I ran CPU-Z showing the tablet is equipped with a quad Cortex A53 processor @ up to 1.8 GHz, a Mali-T760 GPU, 2978MB RAM, 25GB internal storage, and a 2560×1600 display. The tablet – model V18_PRO (uranus_t1) – runs Android 7.1.2 with a not-so-recent security patch (2017/07/05). The battery temperature is however always stuck to 30.0 °C, and a single sensor is detected (as advertised): 3-axis accelerometer. 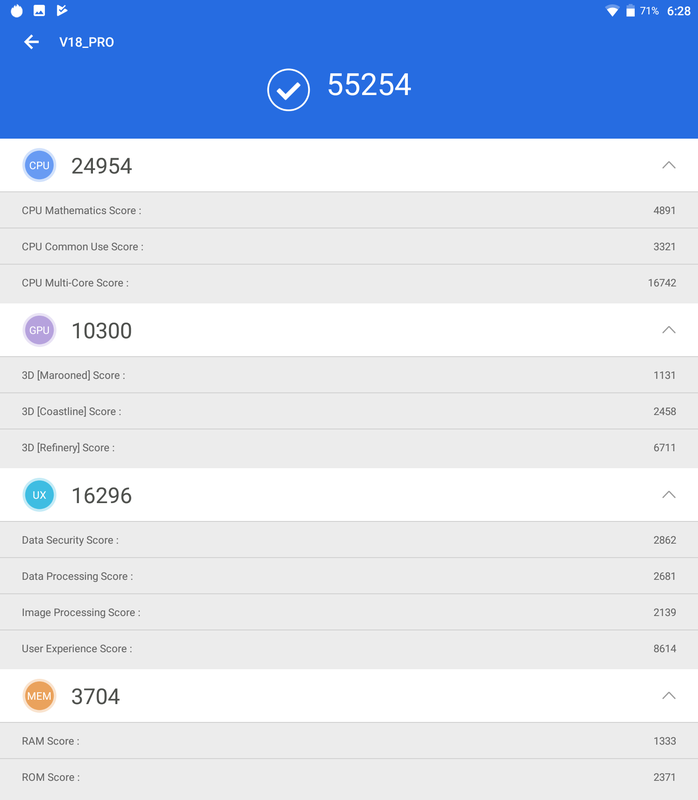 I also installed Antutu, but the app has been updated to Antutu 7.0.4, so we can’t compare it to older results obtained with Antutu 6.x, and I may have to run Antutu 7 on some other devices later on. We cannot even compare the tablet performance to the internal Antutu database results because they are still gathering more results. But the good news is that the tablet passed all tests without troubles, and for reference the score is 55,254 points. 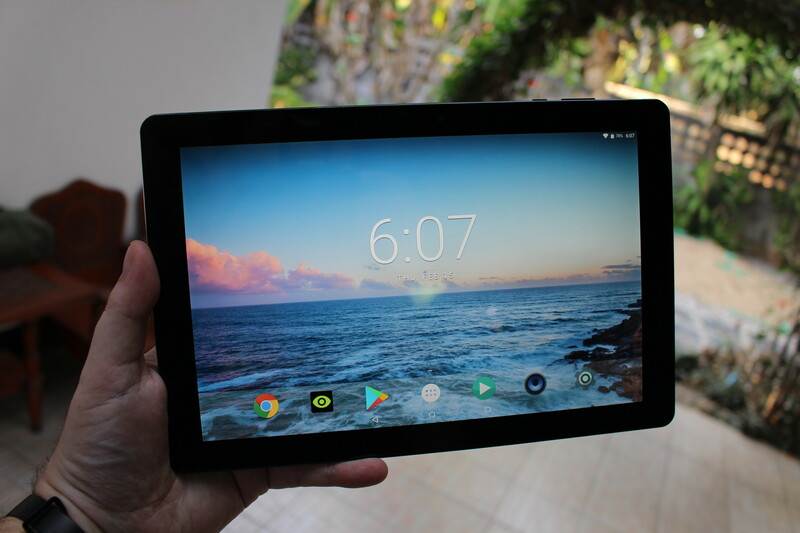 I’d like to thank GearBest for the sample, and if you’re interested in the tablet you could consider purchasing it on their website, but you’ll also find it on Aliexpress with or without keyboard, GeekBuying, and other sites for $160 and up. Tweet Announced last June, Allwinner A63 is the latest tablet SoC from the company, with a quad core Cortex A53 processor and a Mali-T760MP2 GPU capable of driving 2K displays….